So you just purchased a new iPhone or iPad and you’re anxious to start using it. I know it’s tempting to turn it on and start using it as fast as possible. However, if you want to transfer data from an old device to your new device, you may want to wait just a minute before turning on that new device. Before setting up your new device, make a backup of your existing iPhone or iPad. You can then setup the new device and restore the backup as part of the initial setup process. This will install all the data from your existing device on your new device. If you purchased a new iPhone at an Apple Store or a cellular provider, they may transfer the data from your old iPhone to your new iPhone. However, if they didn’t transfer your data, it is a simple process to do it yourself. There are basically two steps you will perform to transfer all your data from an old device to a new device. 1. Backup the old device to either iCloud or iTunes on your computer. This article from the Apple website explains in detail how to perform a backup. 2. Restore that backup to the new device. This article from the Apple website provides details on the restore process. Before restoring a backup to an iPhone or iPad, it is important to understand any data on the new device will be erased when the backup is restored. This is why it is best to restore the backup as part of the initial setup of a new device. Since the device is new, there is no existing data on the device. If your new device was setup without restoring a backup, there may be some data such as text messages or emails on your new device that isn’t on your old device. 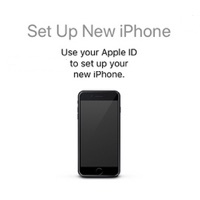 If you erase the data on the new device and restore a backup of your old device, only the data from the backup will be on the new device after the restore is complete. 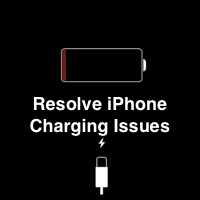 If you were using some very old apps on your old iPhone or iPad, there is a chance they could no longer work with the new iOS on the new device. Beginning with iOS 11, the software only supports 64-bit apps. Support for the older 32-bit apps was eliminated. If a developer hasn’t updated an app in a long time, it is probably an old 32-bit app that will not run on the new iOS. If you are running iOS 10 on your old device, you can see if any apps will not work with iOS 11 by going to Settings -> General -> About -> Applications. Any apps that won’t work with iOS 11 will be listed here. If your old device is not be able to run iOS 10, just be aware that some apps may not work with the new iOS on your new device and therefore have been removed from the App Store. Most well-known apps have been updated to support the 64-bit architecture. If you have a favorite app that may not be from a big company, you could always check to see if it’s still available on the App Store. 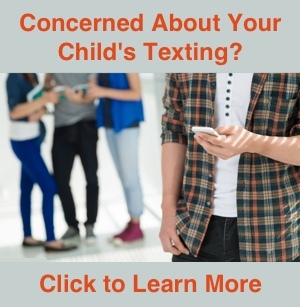 If it is, it will work on your new device. Do You Really Need All the Old Data? Since you are getting a new device, now is the time to consider if you really want to keep all that old data or if you want to start fresh. Setting up the new iPhone or iPad as a new device instead of restoring the backup of your old device will create a fresh factory installation with only the basic Apple apps installed. Assuming you are syncing data to iCloud, much of your important information (Contacts, Calendars, Notes) will be automatically transferred to the new device once it syncs with iCloud. You would then need to manually download any apps you want. While you will loose any app specific information and settings, it may be worth it to start fresh if the old device had a lot of old unused apps and maybe behaved a little quirky. 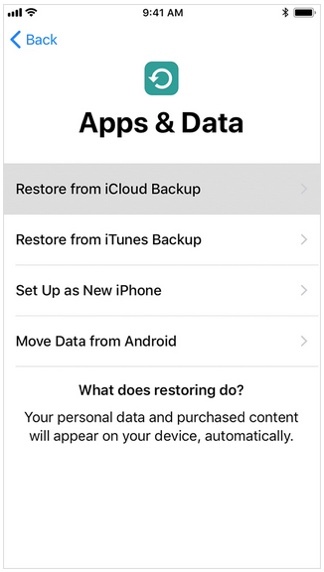 Now that the new iPhone or iPad is up and running, you could save some space in your iCloud account by deleting the backup of the old device (assuming you won’t be using the old device and don’t need the backup). On the new device, go to Settings -> your name -> iCloud -> Manage Storage -> Backups and select the backup of your old device. A window should open with the option to delete the backup. This will remove the backup from iCloud and free up some storage space. Please understand, only delete the old backup if you don’t think you’ll ever need to restore the data to your old device. If you want to keep a backup of the old device, I suggest backing up the old device to iTunes on your computer. This will store the backup on your computer instead of iCloud. You can then delete the backup from iCloud to recover the storage space. 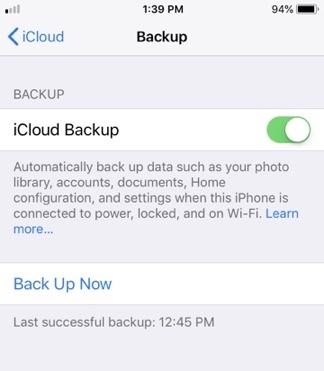 Deleting the backup from iCloud does not delete the data on your old device. It will remain on the old device. If you plan to give your old device to someone else, I suggest deleting all your data from the device by going to Settings -> General -> Reset -> Erase All content and Settings.